Endless Reader introduces kids to sight words and phonics with interactive animations that demonstrate the meaning of the words as well as how to spell them. Each word is presented as a card inside a monster's mouth. Kids scroll through the cards to choose the word they want to explore. Read aloud to kids and let them fill in certain sight words (start with letting them read the word "the" in a short picture book. As a follow-up to Endless Alphabet, set the stage for early reading success with Endless Reader! 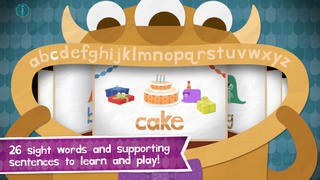 This app introduces "sight words", the most commonly used words in school, library, and children's books. Kids need to recognize these words by sight in order to achieve reading fluency. Recognizing sight words is advantageous for beginning readers because many of these words have unusual spelling, cannot be sounded out using phonics knowledge, and often cannot be represented using pictures. 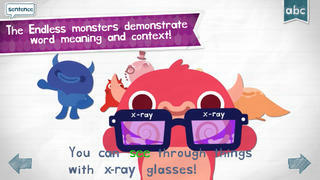 Kids will have a blast learning sight words and their context and usage with the adorable Endless monsters. 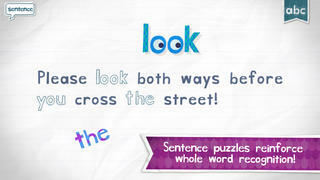 Each word features an interactive word puzzle with letters that come alive, and then a sentence puzzle with words that become what they describe. See the word "dog" as a barking dog, and the word "up" reach for the sky! - 6 words free to try, and the complete Reader Pack 1 of 20 additional words available for purchase. More Reader Packs will be available for purchase in the future. 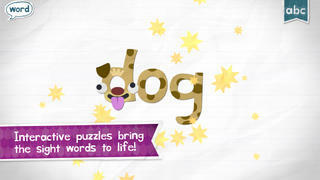 - Delightful animations reinforce sight recognition of words in a fun and interactive way. - Word puzzles reinforce spelling using lower-case letters and the sentence puzzles teach definition and usage (in addition to sight recognition). 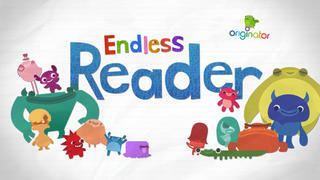 - Endless Reader was designed with your children in mind. There are no high scores, failures, limits or stress. Your children can interact with the app at their own pace.